DALLAS — Each offseason during the NFL Draft process each NFL team is allowed 30 national pre-draft visits to evaluate potential draft targets on their own fields. One such visitors for the Cowboys this year is Virginia safety Juan Thornhill. Many experts believe that Thornhill is a top 60 pick in the upcoming draft which would put him right in line with where Dallas makes their first selection at No. 58 overall. Alongside Taylor Rapp (who is also one of the 30 visitors), Thornhill is one of the top two safeties that should be on the Dallas Cowboys’ draft board come April 25th. Thornhill has the size and length that many teams, including Dallas, covet at the next level. While he projects more as a box safety in the teams’ current scheme, the former Cavalier has spent time as a cornerback so you should expect that he can also cover well. Thornhill will be asked to cover tight ends in the NFL and that was something he showed the ability to do at the college level. He really enjoys playing tight coverage and will get physical with receivers. What stands out about Thornhill is his athleticism, especially when needing to close the gap on ball carriers. He is a rangy safety that can get deep when playing in a single-high role and he can click and close with little issue. Thornhill will struggle on double moves as he can be a bit too aggressive but he does pick up the ball well in the air which will likely lead to more turnovers for the Cowboys. Physically he has issues with taking on blockers and shedding to make a play on the ball carrier. He needs to be fine tuned on his physicality and recognition of running plays. He doesn’t seem to have those same issues on pass recognition, due mainly to his experience as a cornerback. He brings versatility to a secondary that likes to deploy their defensive backs in a variety of ways, so in that way, he definitely fits the Cowboys' mold. He has the position flex that COO Stephen Jones will covet. Thornhill can be a swiss army knife, much like how the Cowboys used Byron Jones early on. With his ability to cover, create turnovers and finish as a tackler, Thornhill makes a lot of sense for a team looking for a player who can complement Xavier Woods on the back end. Overall, Thornhill appears to be worthy of a second-round selection to solidify the defensive backfield and should he be available when the Cowboys pick, he's one to keep an eye on. 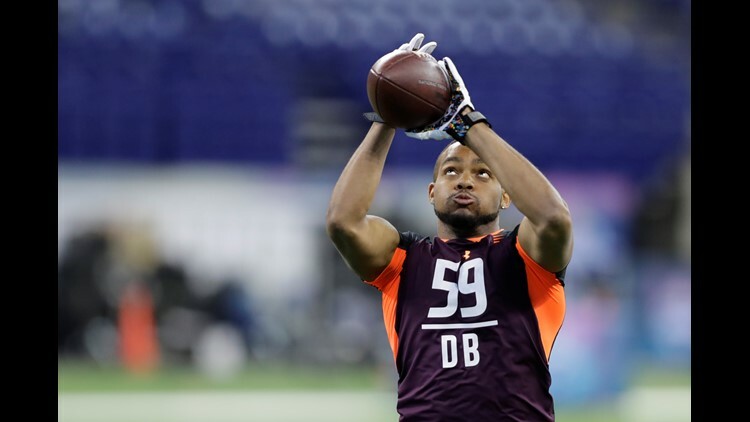 Would you be happy to see the Cowboys select Juan Thornhill out of Virginia with one of their early picks? Share your thought with Patrick on Twitter @DraftCowboys.